On a high bank of the Amudarya river, next to the southwestern walls of the ancient citadel of Old Termez rise the blue domes of Hakim at-Termezi architectural complex. 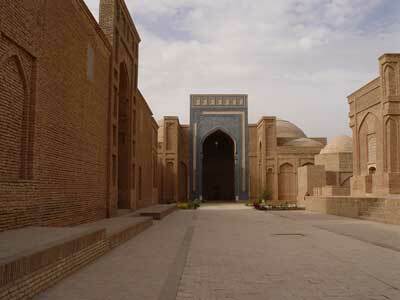 Medieval Uzbekistan gave the world many eminent people. Among them was Isa Mahammad ibn Savra ibn Musa ad-Dahhak as-Sulami, known in Islamic world as Imam at-Termezi. A popular legend about beautiful and brave Queen Gulyaeem narrates that once foreign tribes attacked her lands and defeated her army. All the men of her kingdom were either killed or captured. Then the queen gathered another army, but it consisted only of forty girls, the friends of Gulyaeem's, who were as beautiful and brave as she was. They put on hauberk, picked up damask steel swords and mounted fast horses. In some Termez monuments rather apparent is the spirit of generations' continuity, the memory of the bright history of Surkhandarya. 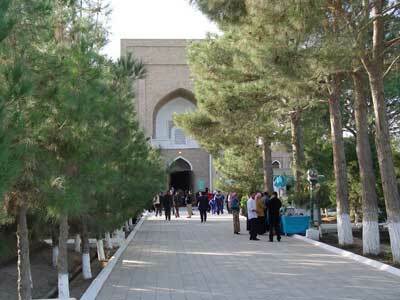 One of them, honoring the memory of ancestors, is Sultan-Saodat Mamorial, which is located in three kilometers from Old Termez Site. 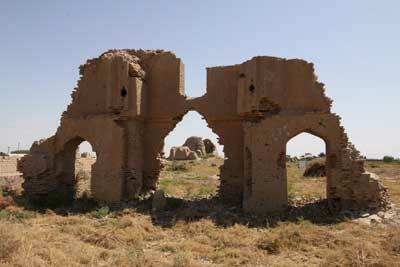 To the northwest of Old Termez., on the left bank of the Amu Darya river, there is a three-head hill. The local people call it Koratepa, which means "Black Hill". From its southern, the highest point one can clearly observe the citadel, surrounded by walls, and the ruins of the ancient town. The first archeological excavations took place at Koratepa in 1936. 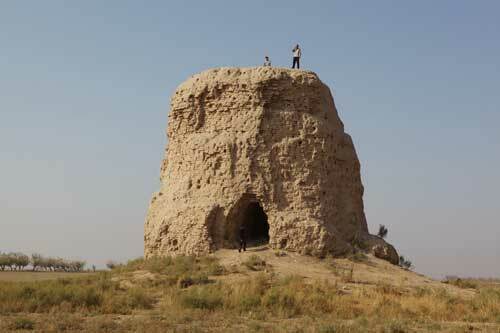 To the southeast of the ancient site of Old Termez, on the side of the road leading to the Surkhandarya Province central city, rise the remains of what is called Zurmala Tower. 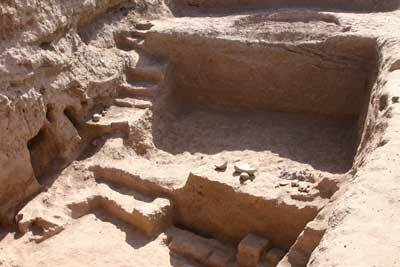 Archeologists took interest in the structure long ago. In as far back as 1926 they came out with the suggestion that it must have been a Buddhist stupa. As the ancient Greek astronomer and geographer Claudius Ptolemy wrote in his treatise Geographia, Alexander the Great set out to conquer Bactria after having subjugated Sogdiana. On the right bank of the river Amu Darya, then known as the Oxus, at the river convenient crossing spot, he built a fortress town - Alexandria Oxiana. After Greeks left the region, nomads destroyed the fortress. 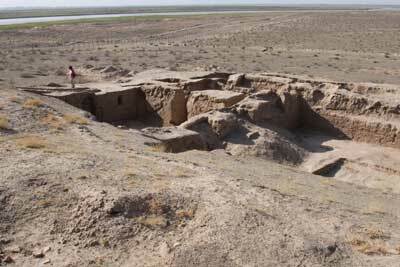 Dalverzintepa Site, located at a distance of 60 kilometers from Termez takes a special place among the many monuments of Kushan times in the south of Uzbekistan. 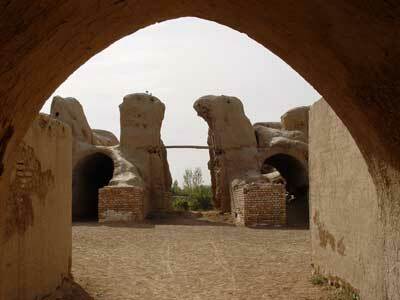 Once a large Kushan town, the center of Saganian Province lying on one of the most important Great Silk Roads, it occupied the area of 36 hectares. 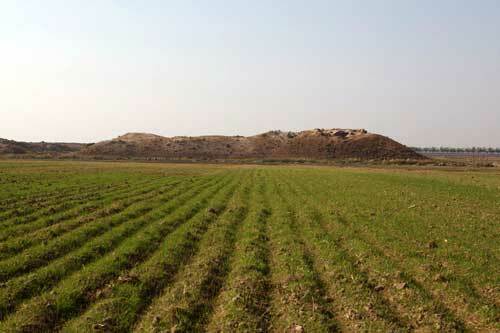 Time and again the attention of archeologists has been attracted to a few mounds located north of Dalverzintepa site, at Khalchayan village, near the town of Denau in Surkhandarya Province of Uzbekistan. The archeologists surmised that under the mounds there were buried ancient settlements. Zartepa surviving strong fortification walls with semicircular turrets rise not far from Old Termez site. 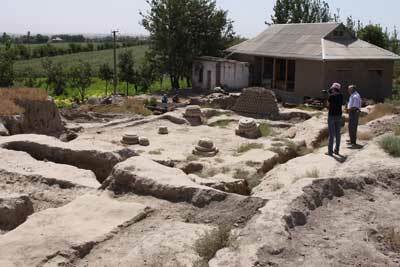 As far back as the 2nd century BCE this ancient settlement was a large trading town, occupying the area of 16 hectares. The walls that surrounded the town were nine meters thick, and inside the walls there was a three-meter-wide corridor. In the middle of the eastern and western walls there were gates with formidable barbicans over them.